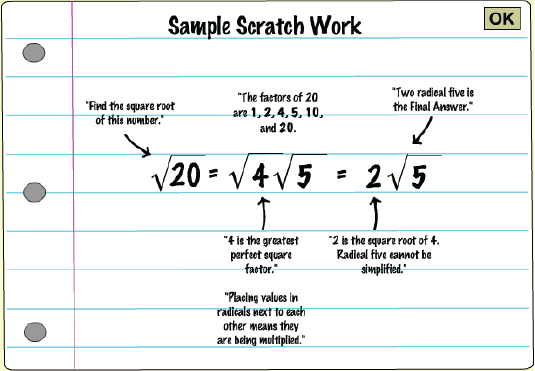 Use these practice activities to help you type faster and more accurately! 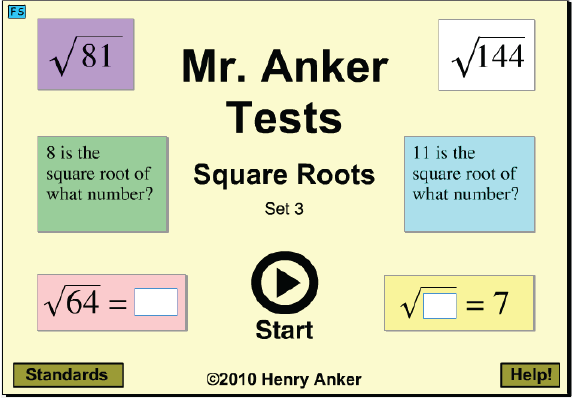 Name basic square roots and compare values with square roots. 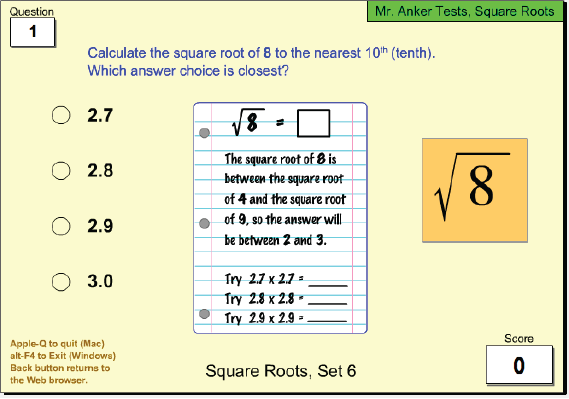 Slightly more difficult square roots and comparisons with square roots. 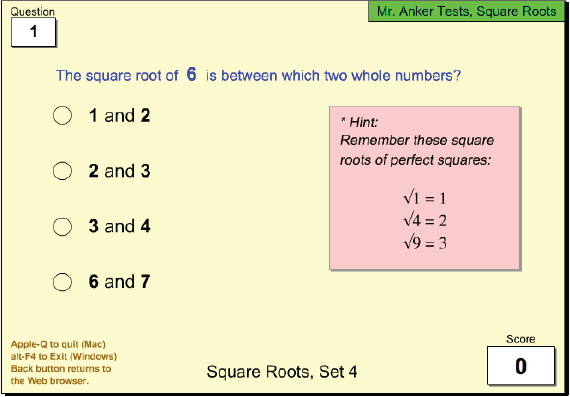 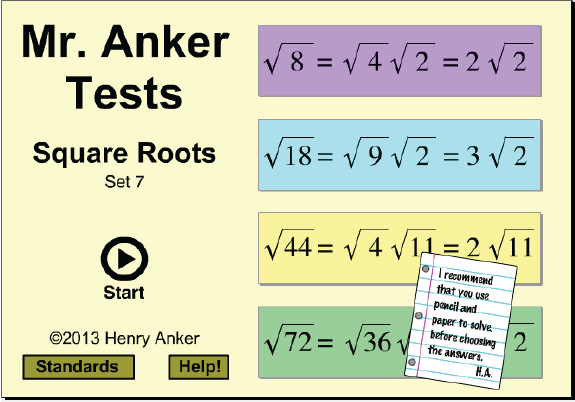 More difficult questions and comparions with basic square roots. 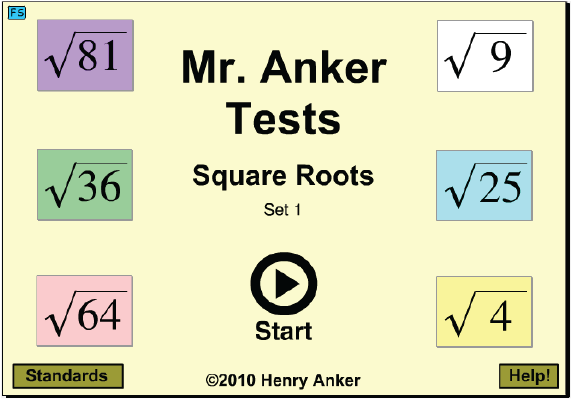 The square root of a number is between which two whole numbers? 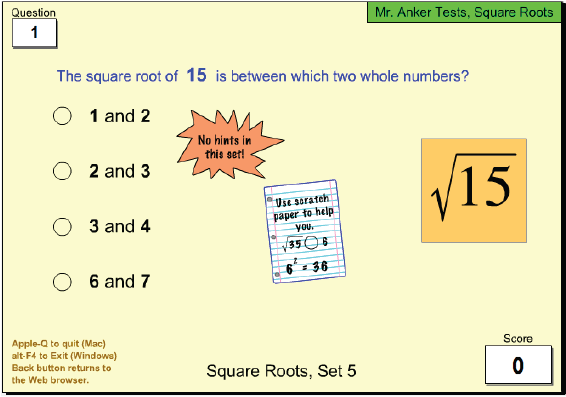 Using strategies to estimate a square root of a non-perfect square. 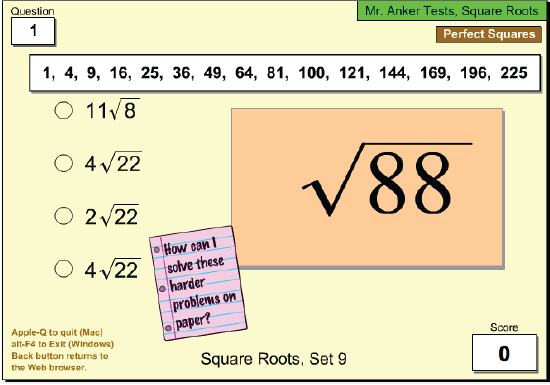 Using a procedure to break down a square root problem for a non-perfect square.